ABC has yet to renew Castle for a ninth season, but the show has been taking steps over the last several weeks to figure out the contracts for members of its cast. Sadly, this has led to the departure of Tamala Jones and series lead Stana Katic, while Nathan Fillion seems to have another year-long contract in place. Soon after Fillion signed, Seamus Dever, who plays Detective Ryan, also announced he would be back. Now, we’ve learned Jon Huertas will be back, as well. 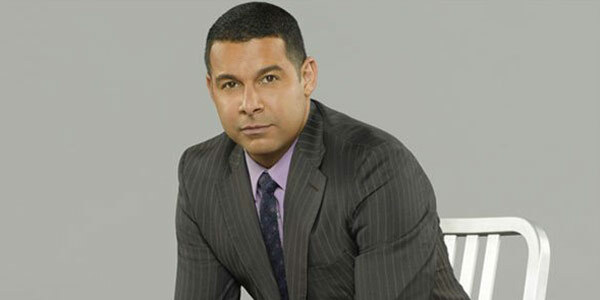 Jon Huertas has been playing Javier Esposito on Castle since way back in Season 1 and he was featured in a character-centered episode just a few weeks ago. He’s partnered with the aforementioned Detective Kevin Ryan on the show, and the two are engaged in a bromance, although they have had their moments of conflict. It would have been weird to keep Ryan without Esposito or vice versa, so it’s nice that both actors have been signed on for Season 9, should ABC go ahead and give the renewal. TV Line reports that a slew of other Castle cast members are still in talks to return next fall. Those include Molly Quinn, who plays Alexis, Susan Sullivan, who plays Martha, and Toks Olagundoye, who plays Hayley. Much of the cast should seemingly be preserved should Castle return for Season 9. However, that's still a "should" for now. While we wait for ABC to make a decision regarding Castle's future, there is still one more episode left in Castle Season 8. Interestingly, because ABC hasn't signed on for a renewal yet, there is a bit of a wrinkle to the finale. Should the show have a renewal planned, the creative team has filmed one ending and should the show get cancelled, the series has another ending planned. Obviously, the Castle finale won't hit the schedule until next Monday, but that gives the network just a few days to make the big decision. Which final scene we are getting could come down to the wire. ABC has been busy teasing the big Castle finale, and both images and the trailer for the episode make it look very emotional. This has prompted many to wonder whether a life will be on the line, especially since a couple of characters were not asked back for next year. You can find out when Castle airs on Monday night at 10 p.m. ET. In addition, you can see what the network has coming up this summer with our TV premiere schedule.